Not ideal, but just for test I made Audit mode syspreped image which was tool HWID activated. Even if they are the same model they have different HWID since they all have different MAC Address network adapter. Ofcourse they DO, no question about it. You did NOT discover anything! What to make, for restored-to-hardware to pick up its own existing activation with such restored image? Not activating on system 2 indicates Win Activation servers still see differences. Remember system is purely online. Alltogether sounds like a Digital license system problem and not related to the tool. Absolutely, But how to fully REMOVE activation from activated system? By design you can only manage them when connected to a MSA. There are guides about this available from MS.
Tool version 62.01 will offer that option asap . Some more info (what system is this, any other solutions used before)? Locked service (most likely wuauserv) is causing this problem. 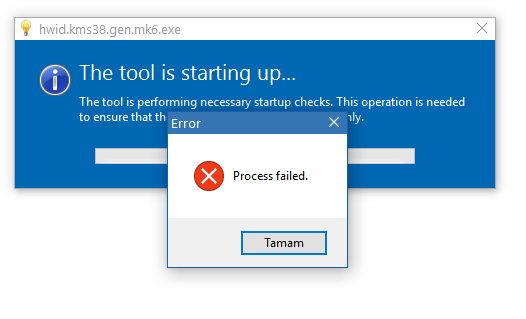 Hmm, shouldn't stop the tool from starting. Must be a borked activation system showing such notice. I used wub.exe for the test. My question is how do i tell if I was given the +20 yrs? I was just editing my post LOL. I have just plain enterprise as it says enterprise on my computer, and I used the generic key for just plain enterprise. So my question now is where do i find the Enterprise LTSC key? yes yes, Ok. got it, but those keys aren't working. I tried the 4 below. I'm not having any luck. There must be a bigger issue at hand. Note that you can upgrade from Enterprise LTSC to Enterprise. Enterprise --> Enterprise LTSC is a downgrade and is not possible. I don't know what are you trying to do, you didn't clarify it. I thought you just wanted a key to install LTSC 2019. Oh so I'm good i guess. Yes I'm currently on Win 10 Enterprise. OK sounds good i suppose, Enterprise is an upgrade from LTSC. I can live with that. No +20 yrs but I'll live.